Our CCTV camera systems are modern, reliable and can be used for a number of different security uses such as the monitoring, detection and prosecution of criminals. Our team of expert closed-circuit television installers can handle any CCTV tasks you require. From a simple installation to the introduction of a more complex network of cameras on a large site, we can get the job done on your behalf. We cater to business customers as well as homeowners, so whatever you want your CCTV system to do, you can rest assured we’ve already achieved it for someone else in the Liverpool area. With a full range of installation, repair and maintenance services, you’re only a phone call away from the help you need to protect your property. 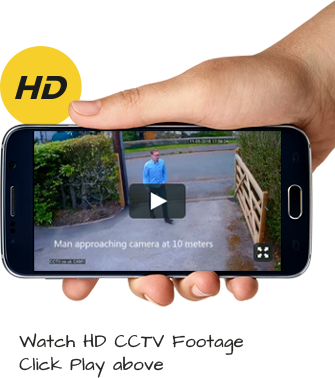 Why use CCTV.co.uk for your new CCTV System? Fully Installed & Configured for you! FREE Quotes - Call for free friendly advice! Crime levels are split in Liverpool – with retail theft such as shoplifting being high, but street theft low. Criminal damage remains high and burglary is also higher than the national average. CCTV can help cut retail thefts – by using high profile cameras and signage, we can attempt to move the would-be thief on to another target. Recording instances of criminal damage again, is very useful when attempting to cut crime of this type. Crime in Liverpool is higher than in similar areas across the United Kingdom according to police figures. That’s a startling 91.08 police recorded crimes per 1,000 citizens in the city – and that’s just the crimes that are actually reported. While crime rates in the surrounding areas such as Sefton, Knowsley, St Helens and Wirral are all much lower by comparison, recorded crime in the city of Liverpool remains worryingly high. With court cases in the Liverpool area taking up to four months for magistrates courts, and nine months in Crown courts, we know you’d much rather deter the criminals in the first place, while keeping your insurance premiums lower. If you want to secure your premises, or merely keep an eye on your business operations, call CCTV.co.uk today on for a free quote. Everyone in our CCTV installation team is an expert in this field. That means you can be certain your installation will go smoothly. Our engineers will help you through everything. We supply and install the best-quality CCTV systems featuring high-definition images and playback. That means no more grainy images – providing worthwhile evidence to the police if you ever need to. We know it can take time to get to grips with a new CCTV system. That’s why full technical support is provided with every system we install. Just call if you have any queries. We won’t be beaten on price. It’s that simple. You can purchase your CCTV system from us and take full advantage of our best price guarantee to ensure you never spend more than necessary. Security matters to all of us. If you’ve just moved into the Liverpool area and you want to make sure your property is safe and protected around the clock, we can help. Our installers will shoulder the hard work and advise you on the best systems for your needs. That makes it easier than ever for you to get the right system installed and to know exactly how to operate it. CCTV acts as an excellent deterrent when it comes to protecting any building – from a factory filled with stock to your own home. It’s not just able to deter criminals from breaking in – it can also prevent vandalism from occurring. Wherever you are in Liverpool, you can protect your property with a modern CCTV system installed by us. It can also protect you in other ways. For example, if you run a business where you come into direct contact with your customers, you can use CCTV cameras to provide evidence of any problems caused by customers. Wouldn’t you like to protect your workers and your business? You can if you opt for a fully-installed CCTV system in Liverpool with the help of our team today. The number of Liverpool CCTV installations has been increasing largely because of rising crime and a faltering economy -therefore protecting your business from intruders is now not so much a luxury as a necessity. However, when choosing and installing security cameras it is important to undertake a survey and to assess the area you want to secure very carefully. You need to design a system that will make sure that you get the protection you need in your particular environment. Bear in mind that you can also utilise your CCTV system for health and safety purposes or to investigate potentially fraudulent claims against your business. Getting CCTV installed is a smart move. Make your move today by calling us now on and requesting your free, no-obligation quotation. We can find the best closed-circuit television system for you – and at a smart price, too.